A free Bible lesson for your family over Matthew 28:1-15. Includes a game, discussion questions, craft ideas, cross-curricular activities, and more! Today I want to share with you a special Bible lesson that you can do with your family during Easter. This is from a 7 week Easter study that I wrote specifically for families. The lesson I am sharing today is just one of the days of this study — the study is broken down into 7 weeks, with 5 lessons in each week. 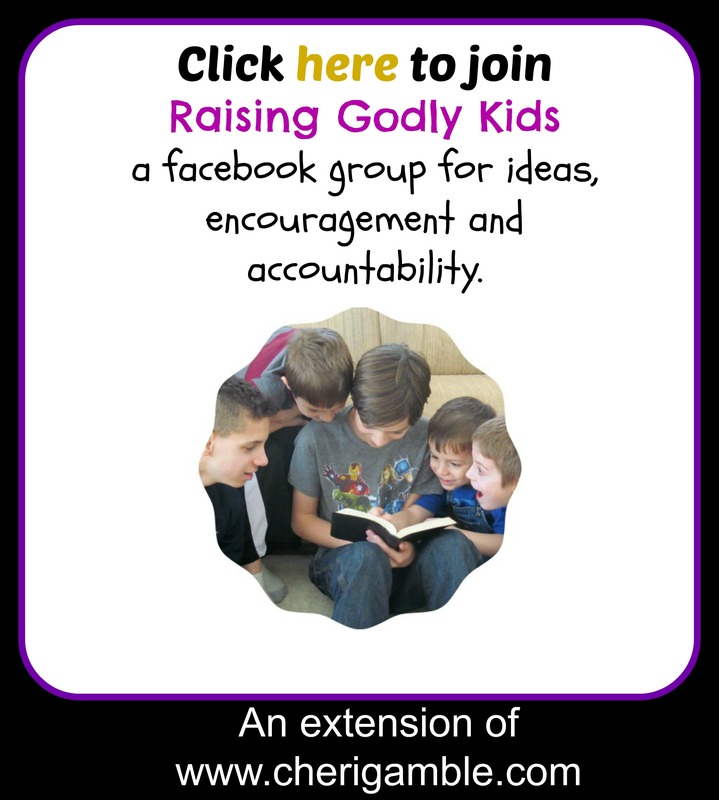 Each lesson has an opening activity, a Bible lesson, additional activities, and activities to help you extend the Easter focus into other areas of the curriculum. If you enjoy this lesson, perhaps you would like to use the entire study this year. You can find our more about that here. Have a great Easter season — and enjoy the lesson! Gather marbles or ping pong balls (or another small round ball) and cups. Have one person hold the cup at the end of the table so that the mouth of the cup is just touching the table, making a “basket” for the ball. The other people should stand at the other end of the table and roll the ball across the table. The goal is to get the ball into the cup with one roll. After everyone has had a chance to try, say: Today we are going to read more about how the stone was rolled away from the tomb, and we are going to see what the reaction was by the guards and the Jewish leaders. As you read this passage, have family members use action figures or dolls to act it out. 1. Who came down from heaven and rolled away the stone? What did he look like? 2. What was the response of the soldiers to the earthquake and angel? Why do you think this was their response? When they regained their senses, who did they report to? Why? 3. How did the Chief priests decide to respond to what had happened at the tomb? How does that affect us still today? NOTE: The Chief priests KNEW Jesus had risen from the dead. How could they deny it? They were the only ones who had remembered that He had prophesied that very thing, they had placed a guard at the tomb, and they had the guards’ eyewitness testimonies of what had happened. Now they were creating a cover-up to hide the facts . . . a conspiracy theory that is still believed to this day. This shows that they truly had hard hearts. They refused to acknowledge the truth. Do you know anyone today who has all the facts but refuses to acknowledge the truth? Discuss. 4. The guards were paid money to say they had fallen asleep and the disciples had stolen the body. Why was this such an unlikely story? What did the Chief priests promise they would do if the governor heard about their story? I’m guessing that the Chief priests may have had to bribe the governor, too. NOTE: If the guards had really fallen asleep, they should have been punished for their incompetence. They should have lost their jobs and possibly their lives. 1. Act out this passage of Scripture with your family. Make your own costumes and have fun with this! If you cannot use costumes or if you have a small family, make each character out of toilet paper tubes or a different material that you have on hand and act it out that way. 2. The angel rolled the stone away. Go outside and have some fun rolling around. Find a hill and roll down it, or have races to see who can roll the furthest. You could also use Easter eggs and have an Easter egg roll race. 3. Decorate Easter eggs as a reminder that Jesus rose from the dead. 4. Make another empty tomb craft. Try one of the ones here or here. 5. It sure looks like the Chief Priests had a lot of money! First, they paid Judas to betray Jesus. Then they paid off the guards, and they possibly paid off the governor, too. How do you think they got all their money? Make your own play money today. Discuss how money can become a problem in our lives. We need to make sure that we do not love money more than Jesus! Write a journal entry from the perspective of the guards. Describe the appearance of the angel. Write about the danger of loving money more than Jesus. Write a response to people who say that Jesus did not really rise from the dead but that the disciples stole the body while the guards were asleep. 2. Find the similes in verse 3. Write your own sentence containing similes. 3. This version of what happened is slightly different from the version we read yesterday. That is okay – in fact, it gives credibility! Matthew is writing the details he wants his readers to remember, and even though they are slightly different from the details we read yesterday, they are still accurate. Compare and contrast today’s reading with yesterday’s. 1. Research what the penalty would have been for soldiers who fell asleep while on the job. 2. Find Galilee on a Bible map. Make your own map of Galilee. 3. Make a timeline for the events from the night Jesus was betrayed until He rose again. 4. Research other situations in history where people have been bribed to tell lies. 3. Study the emotion of fear and what it can do to the human body. 1. The passage we read today says that an angel of the Lord descended from heaven. Let’s practice descending numbers today. Start at a number and count down by 1’s, 2’s, 3’s, 5’s, 10’s, 15’s, etc. 2. The soldiers were given money to lie about what had happened. Spend time studying money today. What would the currency have been back then? What would a large sum of money have been? Compare that to today’s currency. 1. Collect money for a worthy cause. 2. Make Easter cards and send them out to people you know.